Another 60 year old "Non-Stop" in this ultimate state you will not find anymore. The machine looks like new. Works 100%. Fully handmade. With its beautiful size of lxbxh 1200x500x940mm it fits into any game room and will certainly attract the attention of your guests. 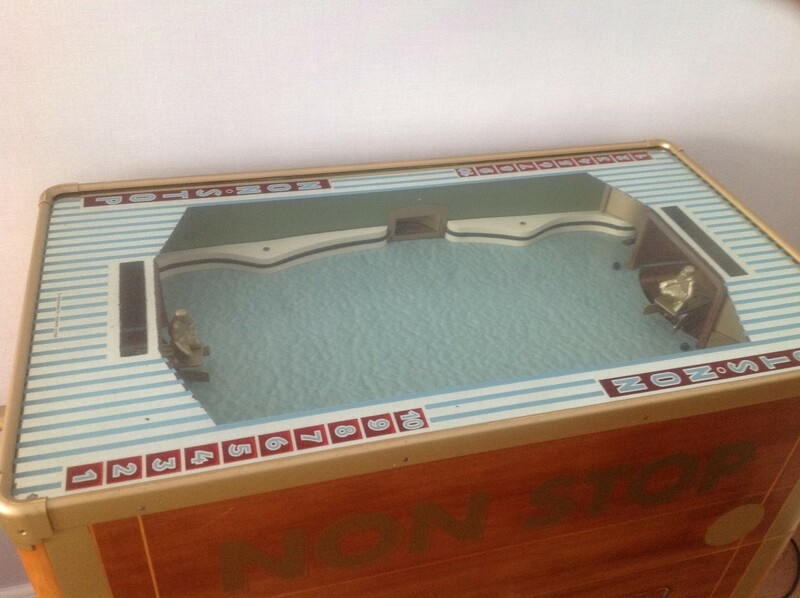 Play with your friends on this very addictive machine. 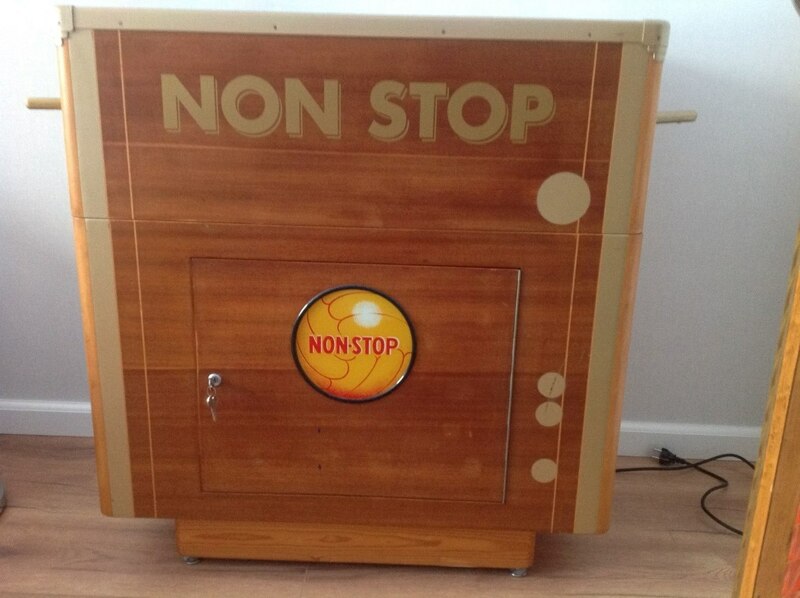 Price â‚¬ 700,- ( leased ) The Spin wheel on the backglass is the basis of this machine, it can take the score to a great extent. You're in luck you have earned 400 points immediately. 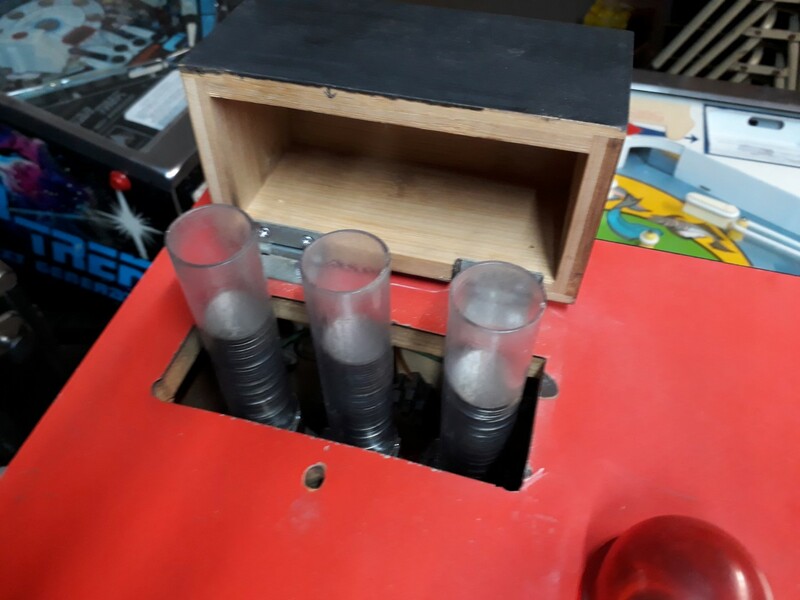 5 kick-out holes, and two on the side give this pinball the additional details for a nice pinball. He plays smoothly. On the left, this pinball has some damage. Playfield and backglass are very beautiful. Price â‚¬ 1700,- ( leased) The Bally Vector with the double backglass and the colorful design make this box from the 1980s a collection piece. Guided by the PAC "Play analysis computer" voice you are ready for your plan for your attack on the game Vector. once inside via the vector scan which measures your speed you can go for multibal. I think the "peculiarity" is the most important of the 6 "defender" droptargets. Droptargets usually have something behind them but in Vector they are used as stand-alone "defenders" that block access to the driveway. Once you have lowered them, Vector says "Defenders are down!" This means that you can shoot on the driveway to lock the ball (for multiball). The many difficult shots and the many droptargets make the game so that it will not get bored. The computer voice with the various different comments are unique for that time. 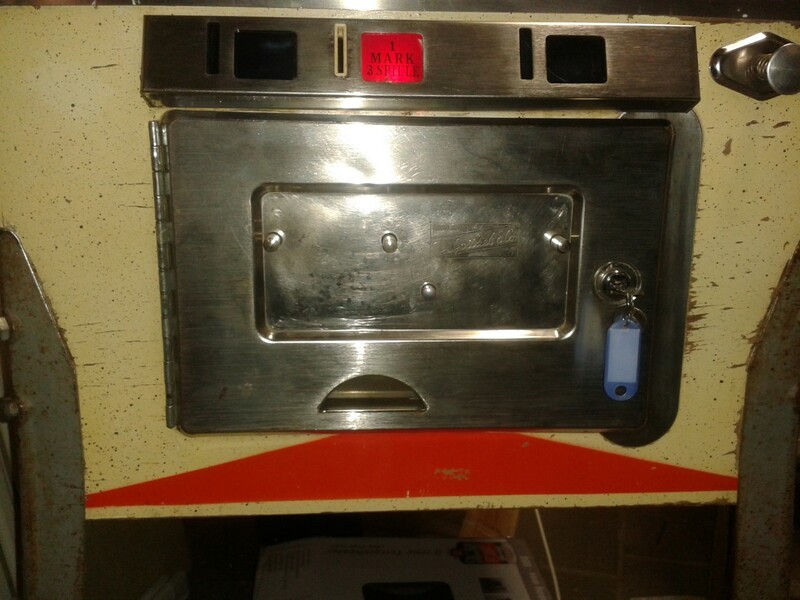 The cabinet has been completely checked, cleaned, updated and provided with new rubbers. Ready for many years of pleasure. 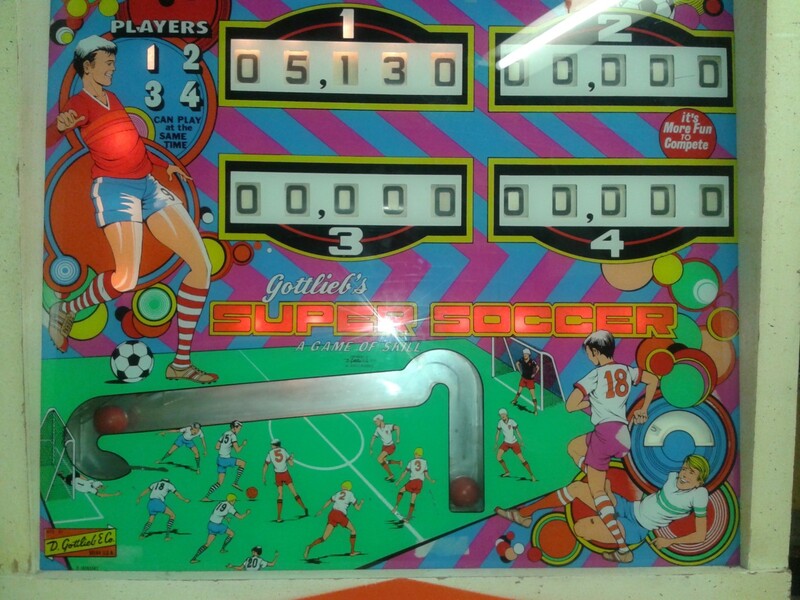 Price â‚¬ 750,- The best thing about the game is the bonus balls which are accumulated during play and displayed in the backglass and which kick out violently at the end of play or during play if scored correctly. Good action that keeps you interested. Twin spinners are fun to aim for but a good shot gets you ahead of the points that should be awarded. The Bonus collect hole was a neat Feature, so is the 3-Balls setting, scoring double in the second, and triple(!) Bonus in the third ball. Unique Special feature may add to the fun, if you go for replays. Artwork is rather poor for Gottlieb. 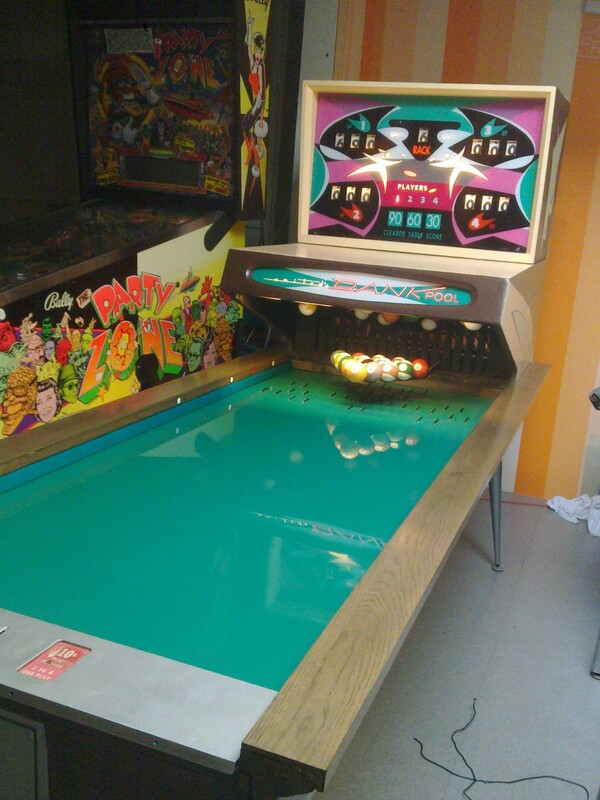 Price â‚¬ 450,- This pinball stood during the 60s in a Dutch brown bar, the cheerful colors did not match the style of the bar at the time and the owner fitted the pinball with brown adhesive plastic. This happened a lot in those years. 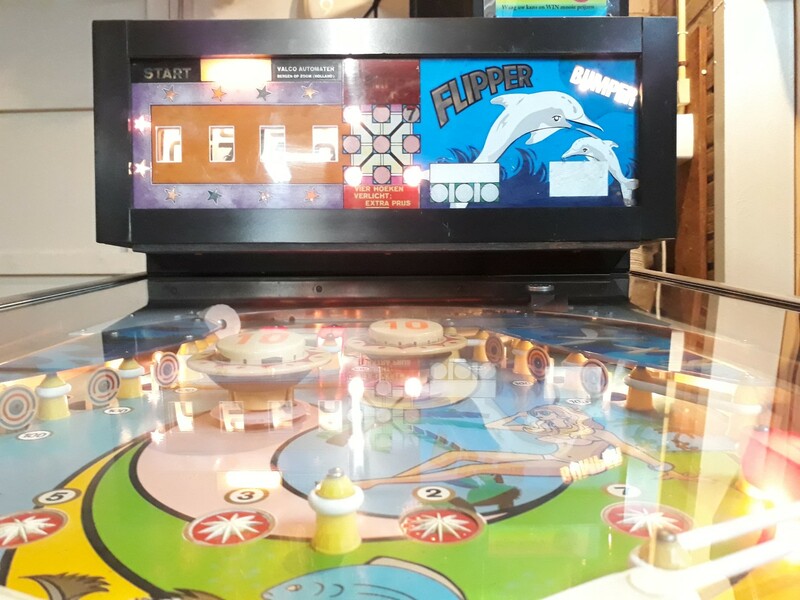 The game plays well and the playing field and head case still look good for a 52 year old pinball. This game remains a challenge, partly due to the small flippers and the difficult shots. 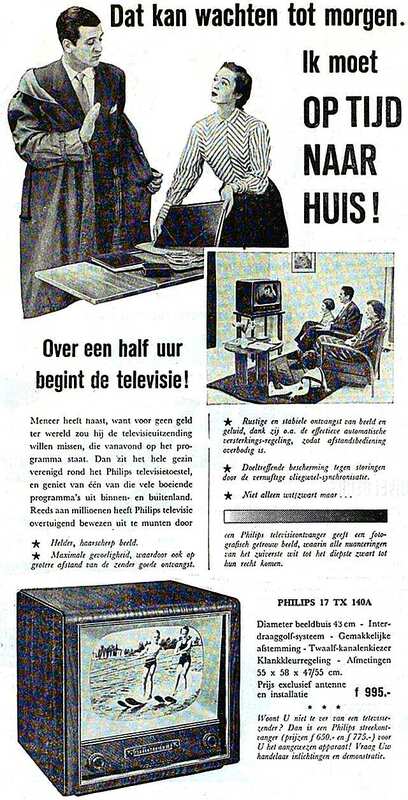 Price â‚¬ 630,- Black white television Philips 14TX120U of 1955. 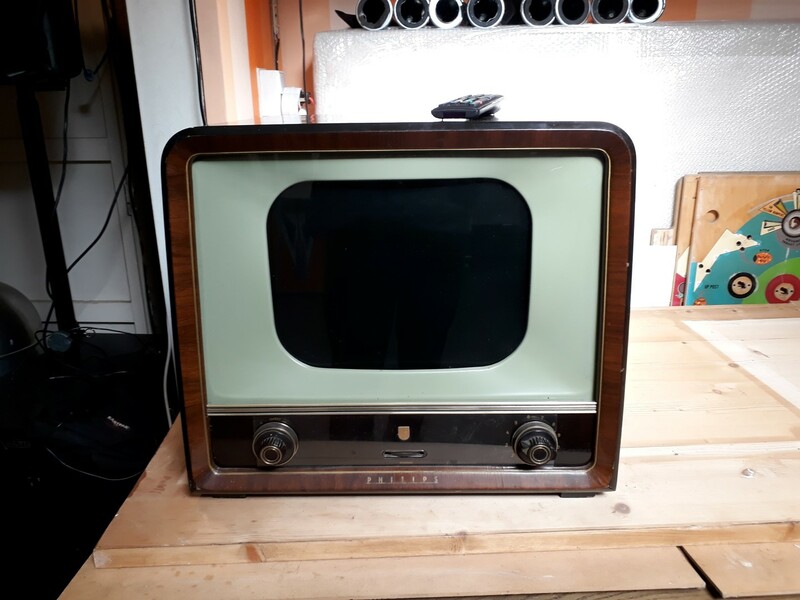 This vintage television has been completely converted. 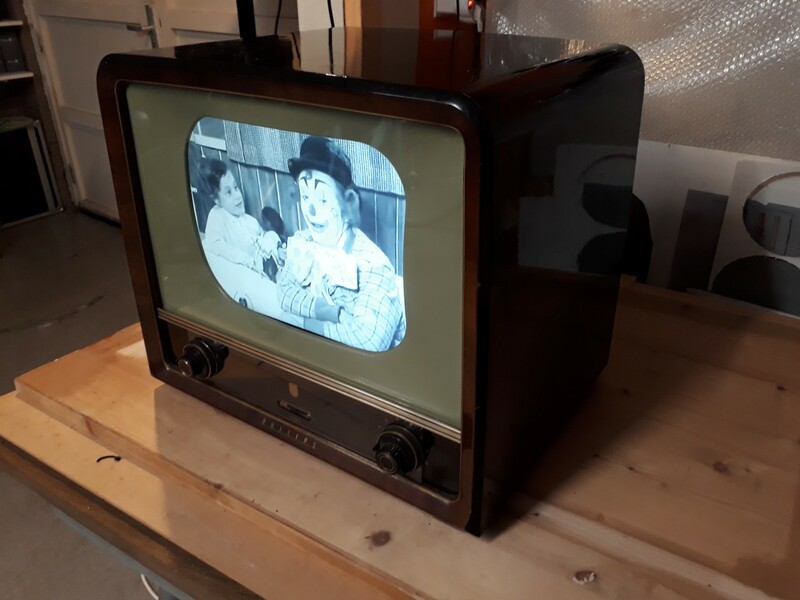 in this old television a LED screen has been installed with recent electronics so that this antique television is once again completely up to date. The technology of today with the look of the 50s. Connections such as USB and HDMI are present. This allows you to play movies directly from USB or your computer. 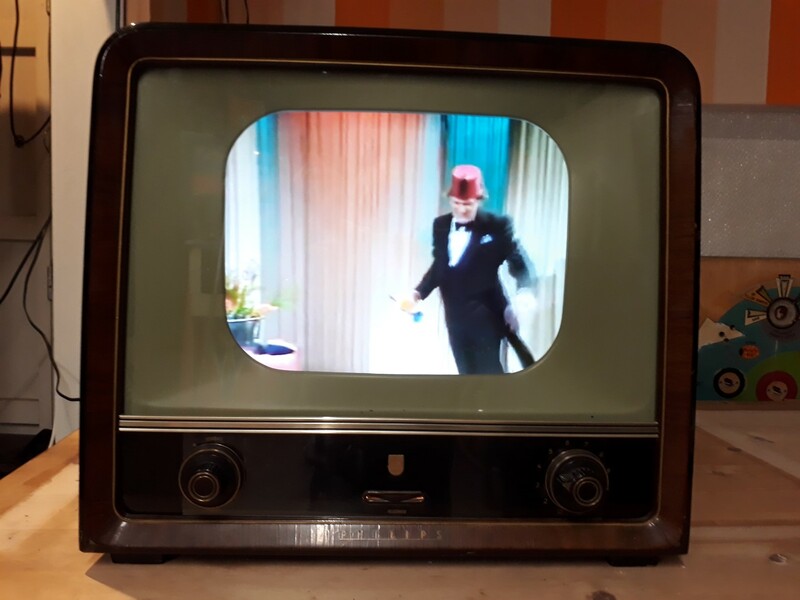 A new amplifier and loudspeaker has been built in so that the full sound of this vintage television is present again. A remote control for the operation of the television is added. The cabinet is still in a good condition. 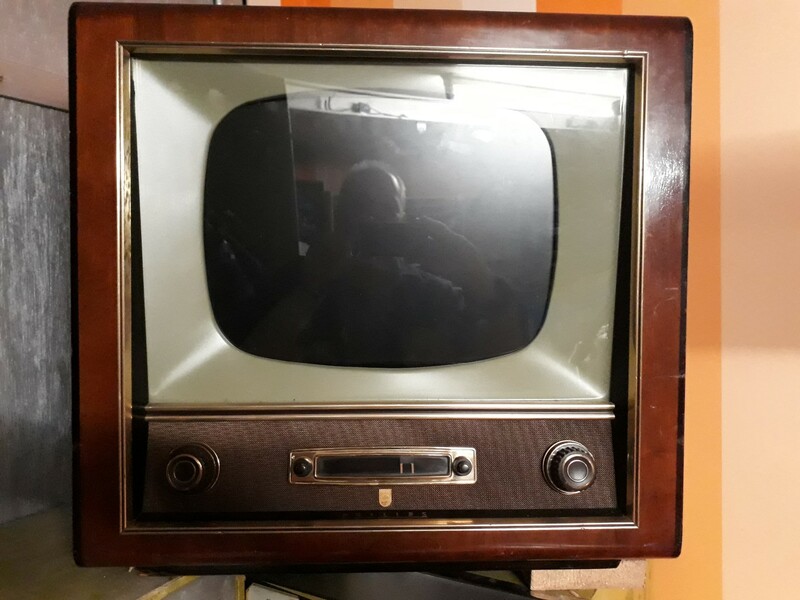 For your company or shop, this antique television has a great image to show videos or photos, but also in the living room or mancave furnished in the old style, this television comes into its own. Price â‚¬ 1350,- From America came this game out of a container. The name of the game is Bankpool from the company United. See for more information in restorations for the full description. 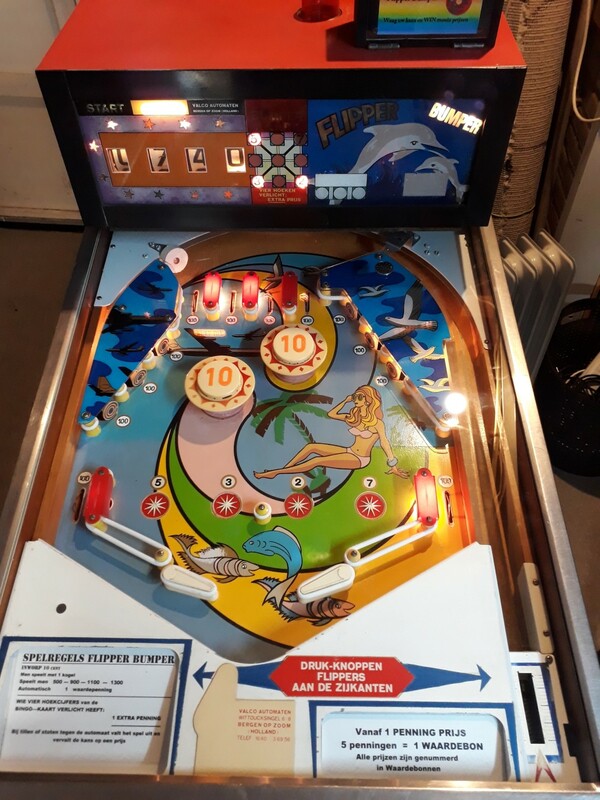 This rare Valco pinball was built at the end of the sixties by the firm "Valco Automaten" from Bergen op Zoom for one of the most famous fair families A. Janvier. The 3rd generation of this family still travels around with attractions along fairs. The Valco pinball machine issues a token with a certain score. When the 4 corners of the bingo card are lit, the red light comes on. An extra price was given by the operator. The red lamp could be switched off from the back. The pinball is equipped with about 200 tokens. The case is now foreseen with 4 neat flipper legs to have the cabinet at the right height. 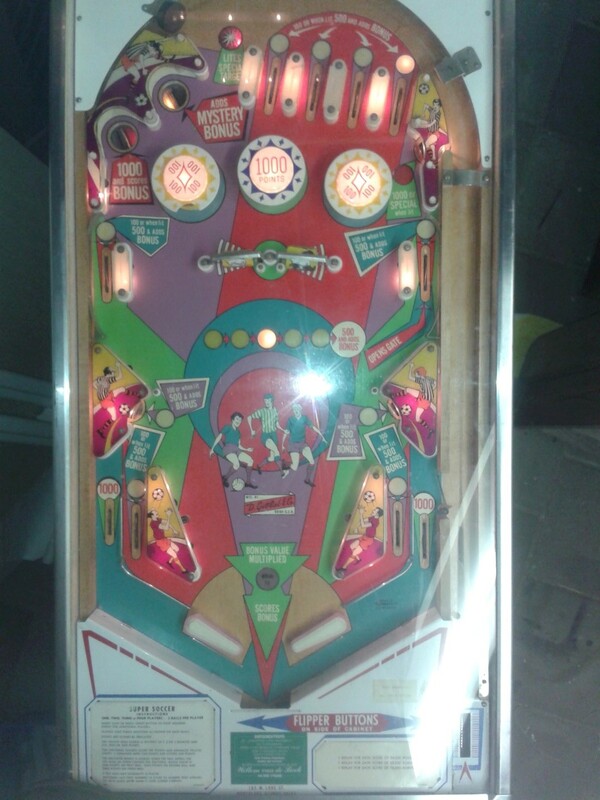 The pinball is in good condition and works perfectly again. The tokens are ejected on the playing field. This cabinet is ideal for parties compete for the most earned tokens. The cabinet has a pleasant size of 94cm long, and 56cm wide. 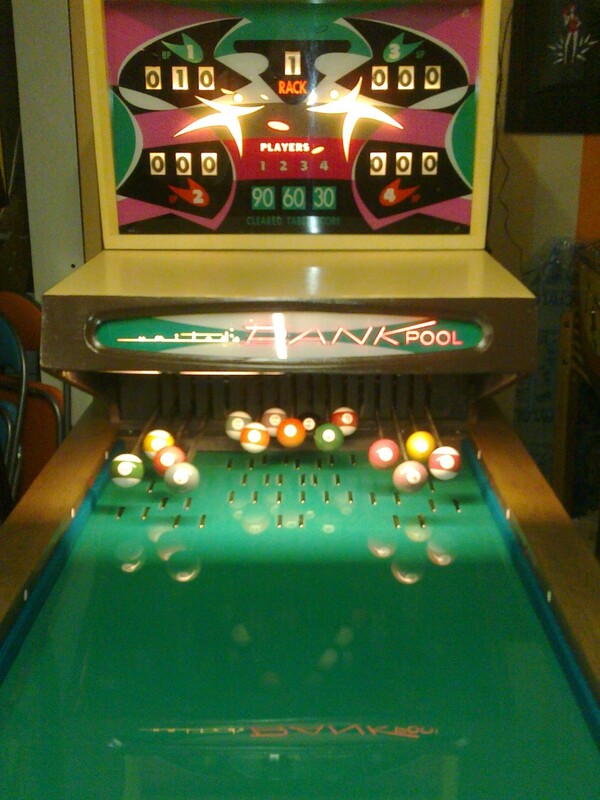 This Valco pinball works on free play or 10 euro cent coins. 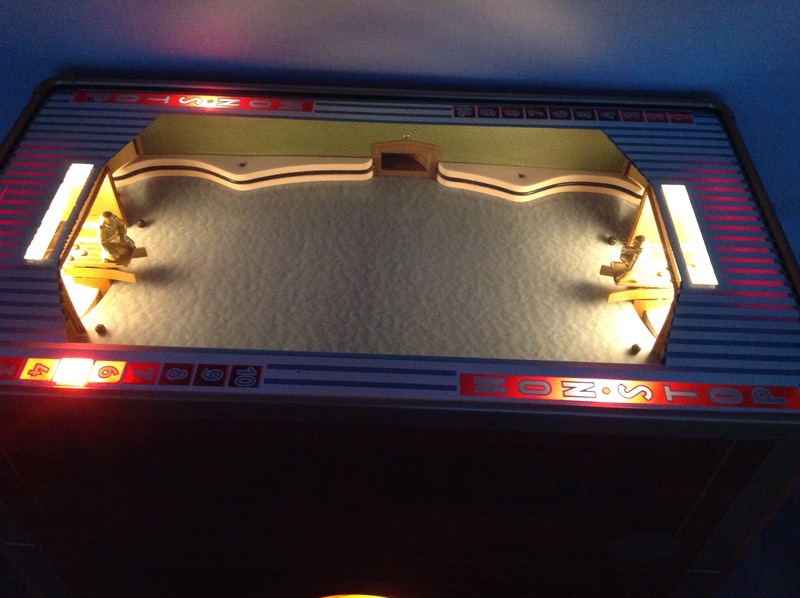 The pinball serves 1 ball each game.